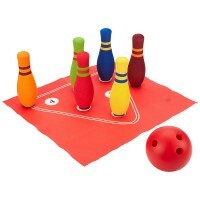 Roll the ball, count the falling pins, see the world topsy-turvy, and have a great time bowling with this Rainbow Bowl set! 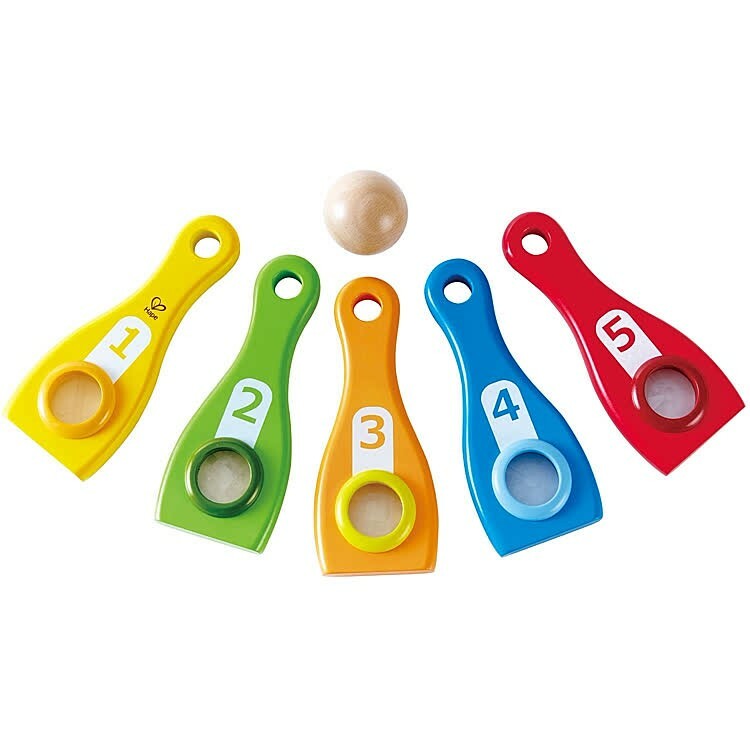 Counting is easy and fun when you play a game of bowling! 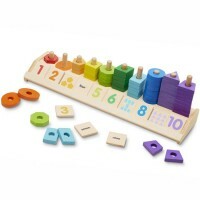 Rainbow Bowl Wooden Bowling Set is a new playset by Hape that combines active fun with learning numbers and colors. This perfect for preschoolers bowling set features 5 bright color wooden pins with magic crystal peek windows. 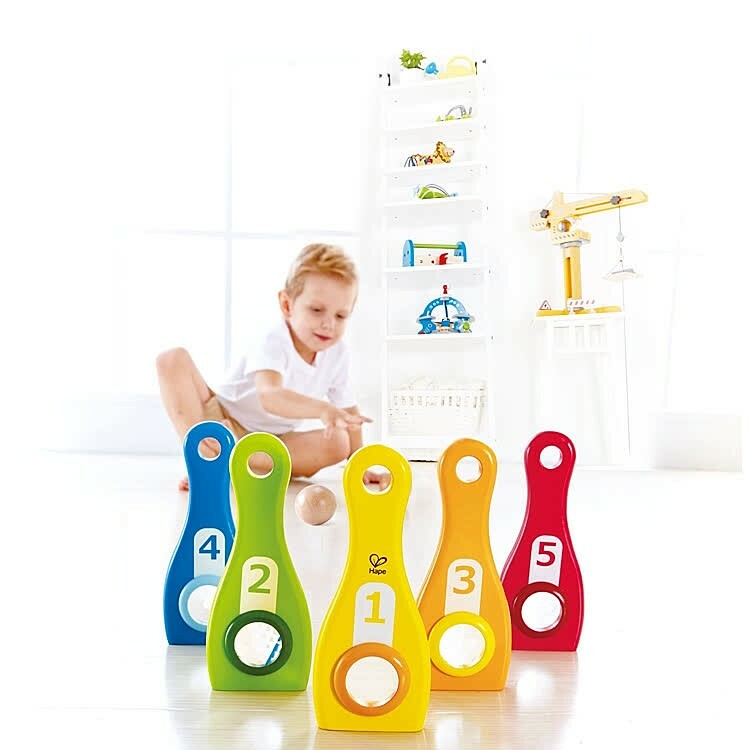 If you flip each of the numbered bowling pins, you can peer through the window and be amazed how the world turns into colorful kaleidoscope. 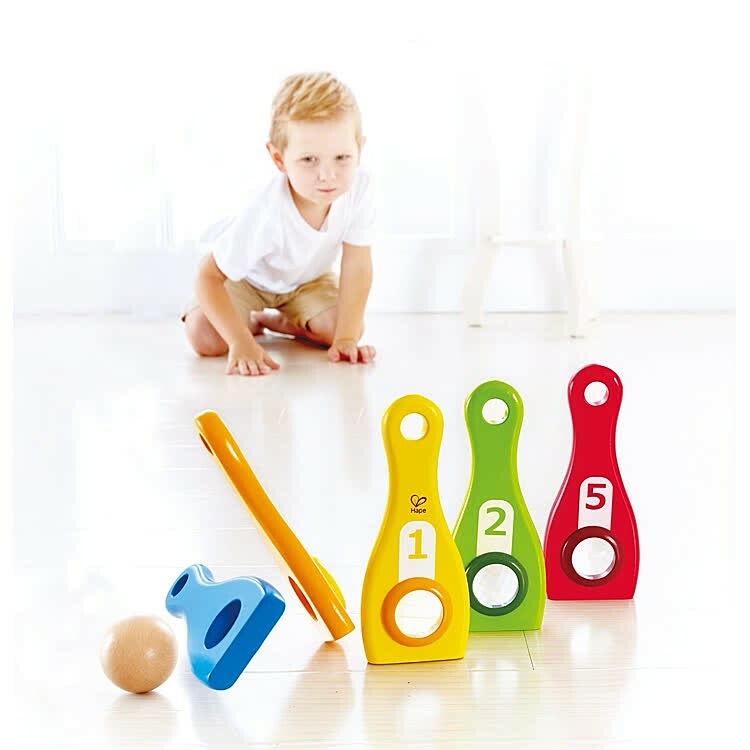 This kids first bowling set from Educational Toys Planet allows to play this game indoors, in the backyard, or take it along visiting grandma. 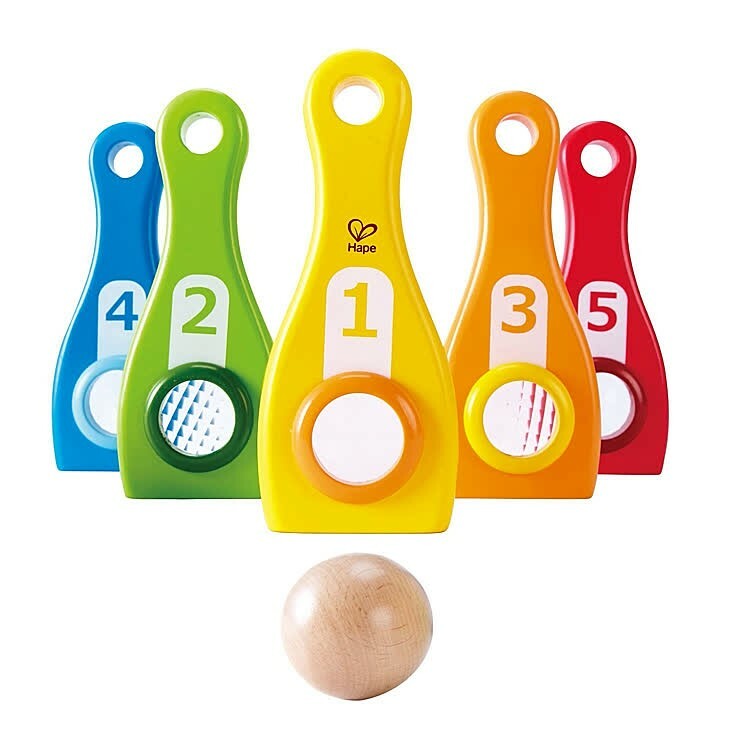 Rainbow Bowl Wooden Bowling Set includes 5 pins a a wooden ball. 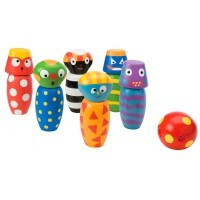 Roll the ball, count the falling pins, see your room topsy-turvy, and have a great time bowling! 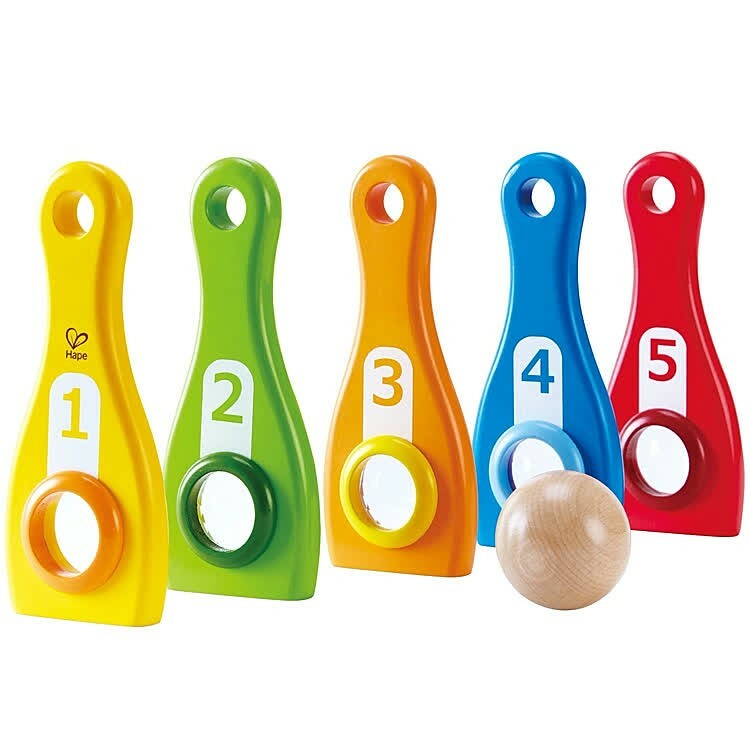 Dimensions of package 3.5" x 7.88" x 10.24"
Write your own review of Rainbow Bowl Wooden Bowling Set. 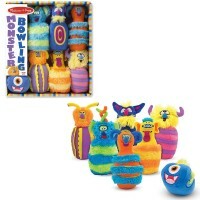 Rating: 5 VERY COLORFUL by DANIELLE, WA REALLY CUTE BOWLING SET FOR THE LITTLE GUYS. 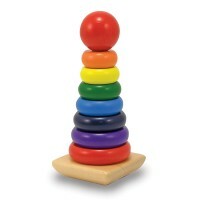 MY SON LIKES IT A LOT. 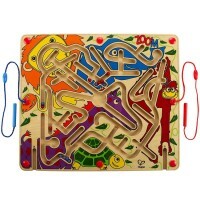 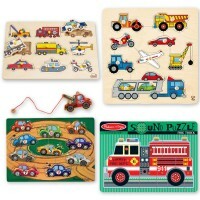 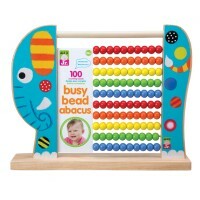 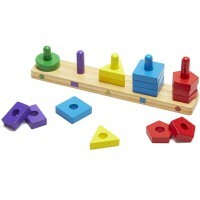 Rating: 5 easy to play by LaTanya, NC Fun and easy for the child to use.